How’d we end up on December 21st? I’m still getting over the election! While my two-legged puppies gift list is satisfied, I haven’t gotten a thing for the plethora of fur children who ornament my home with their unconditional adoration and good cheer. Bad Mommy! I know I can count on local shops, and Chewy.com in a pinch, but I do have some picky pets & pet parents who won’t be satisfied with any generic Kong toy, catnip or ball. For these picky-uns, I had to dig a little deeper. Below I’ve compiled a list of unique finds, that I have discovered through hip clients and creative sellers. Anything strike your fancy? Please share with us & add it to the list! Ever wonder if your dog’s life resembles Secret Life of Pets when you are away? 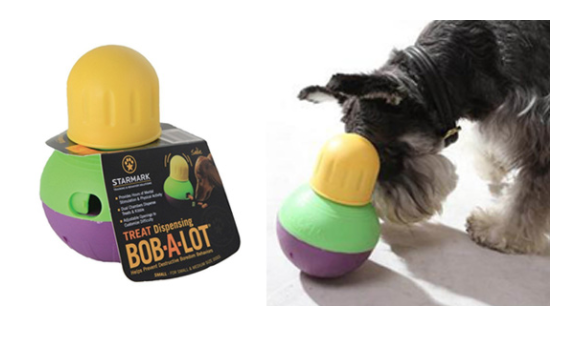 Now you can find out & even reward your pup for their good behavior with the automatic treat dispenser! Good for the guilties and a godsend for trainers like me who want to reward a dog or puppy for doing something right (even if that something right is just sitting in silence!). Not just for fun, this flirt pole is also excellent for mental stimulation. It mirrors the random motion of prey animals as its moves are never the same! It was a puppy gift for Tally Ho, and hands down his favorite toy year round! Great for toss and fetch, or solo play sessions! Need I say more?!? Take your pick! Seriously - this works! As a parent of many species, I am literally in love with my Bluetooth boxes. Note: I had to be cajoled into trying one of these pet cubes. I was like, "Right, music specially formulated for dogs…I’ll just leave on classical music or the TV." That was before I met the lady who invented it at a seminar. Just looking at her calmed me. She handed me one of her CDs, looked me deep in the eye, and said: "Promise me you'll try this.”. When I played her CD, all my creatures - two-legged and four - slipped into a catatonic state. I played that CD for six days straight, then ordered six of her Bluetooth pet cubes off Amazon. I play them whenever I leave and at 8 PM - bedtime at my abode. Great stocking stuffers or jewelry box shaped gift for under your tree or menorah. This one fits a full meal's worth of food inside. An excellent way to encourage healthy habits and keep your dog active and having a blast for a good 20 minutes each mealtime. Who ever thought of feeding dogs out of a stainless steel bowl...boring?! Support your favorite organization just by walking your dog! Choose from a list of charities, log in your miles by tucking your phone into your pocket while you exercise and when you hit your targeted goal Wooftrax will make a donation in your pet's name. How cool is that?! One of my favorite gifts for the holiday season? It's the Pet Tutor. Yes, it's a little expensive, but it cost less than a couch and fancy pair of shoes, and there is no price tag for your dog's happiness and peace of mind. And with it, you and your dog or puppy will create magic...really you won't believe just how smart your dog is. Longing for an easy solution to keep your dog happy, calm and quiet without resorting to shocking, isolating or bullying? 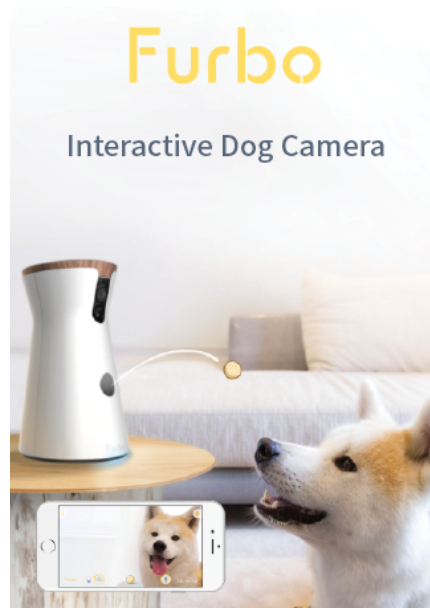 Wish you could satisfy your fur-baby with a virtual I-pad made just for dogs? Buy yourself a Pet Tutor: with it, you can teach your dog to go to places, chew a bone, or just be silent - even when a visitor enters or the kids come in and out. Yes, it is that magical. Just watch their videos on the link provided and click through a few more on their youtube channel and be amazed. Take 10% off your order with code whendogstalk until January 2nd. In love with your fit-bit or the idea of a personal tracker? 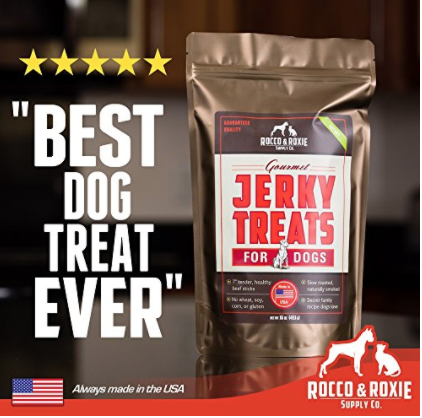 How about one for your dog? It’s sleek color & bow tie design will tuck perfectly into a stocking & wraps nicely as a gift under the menorah. 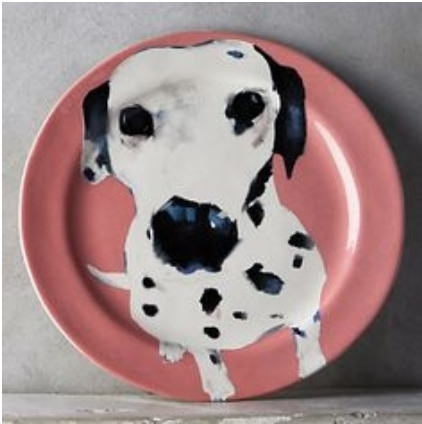 Whether you eat off these or your dog does, this stoneware collection is too good to pass up! Designed by a British artist, these plates will jazz up even the plainest treat. This was on the very top of my wishlist for Santa this year!